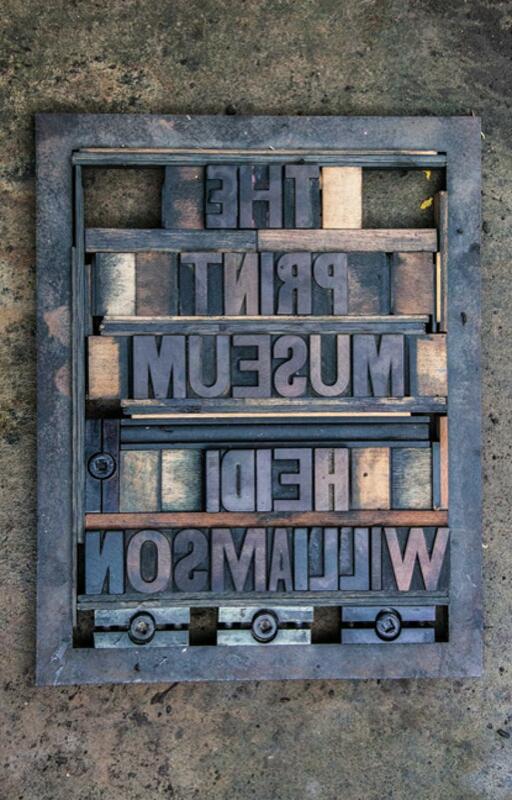 There’s a whole other language for the foundling industry of letterpress, and in the heyday of making an imprint on a page, that language informed us in the most transformative and progressive way. It ran deep, the revolution. Now, the physical act of making pages has gone, and with it a profoundly human as well as an industrial history. And passion, print is a quiet passion – and that is what emerges through Heidi Williamson’s collection of poems, The Print Museum published by Bloodaxe Books. This is a book of love from a deft and disciplined poet at the height of her powers, a worthy winner of the East Anglian Book Awards. Williamson’s beautiful, tender journey through the thins and leads of print is a journey with her father, a retired printer, and the result of her three-year residency at the John Jarrold Printing Museum, in Norwich. It tells history like a string of beads, industrial, personal, familial, universal and human and memory like a glaze, a sieve, a mirror. The span (another printing term), of Williamson’s writing is deceptive. We can be in a small space with a crowd of letters but inked through is an entire history, or an idea, which is so simple but so right and so well put, it is perfect. I can get ridiculously excited about the conjunction of words – boring everyone I know by repeating the brilliant simplicity of Shakespeare’s ‘the hollow crown,’ a complete embodiment of kingship when death and betrayal was easy – but Williamson does this too. She is questioning, philosophical, existential, gently mischievous, tender, experimental, sensuous, and so, so smart. I can’t recommend this collection more highly. It will enhance your reading life. 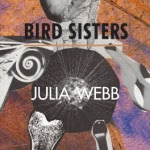 Bird Sisters by Julia Webb is a quest to understand the tangle of family and especially the river of a relationship that runs between siblings. This is a brave book, a tense, personal evocation of life in a family overshadowed by the rule of a ‘Sun Father’, and his punitive severity blighting the lives of the children – and the shadowy orbit of ‘Moon Mother.’ Webb conjures childhood memories into enchanted, surreal motifs that fuse with the authentic detail of the everyday. We are carried through the universe, only to land in a snatched sexual encounter outside the chicken abattoir, which twists into a mythical transformation. To me, as a reader, I found the prose poems, the accounts of things that happened at home, compelling, like The Piano Lesson – (refused by Daddy), Lent and Rain. This is a world of slights, longings and cruelties, darkness and difficulty, spiky, complex relationships, and acts, however small, of a rebellion and resilience. There are wonderful images, ‘Her mother darns the window.’ - ‘Like a baby dandled on the knee of the sea.’ And lines that completely twine the natural world, the local, regional, recognizable world into the being of the characters that populate this collection – ‘you send your snaggle fingers down/into Breckland’s thin soil/snare rabbits in the net of your tresses.’ (From the Same Cloth). This is an intriguing book, myth and miasma, real and sobering, as if the writer is still puzzling it all out. A great read. Bird Sisters, Julia Webb, Nine Arches Press, 2016. Reviews by Belona Greenwood, founder and co-organiser of Words and Women. A former journalist she took an MA in Scriptwriting at the University of East Anglia and writes plays for adults and children, produced and performed both regionally and nationally. She is co-director of Chalk Circle Theatre Company. In 2009 she was a winner of the Decibel Penguin Prize for Life Writing, and she has won an Escalator award to write a book of creative non-fiction. She teaches adults and children. In the squatting years of 1980s London, when it was a group activity to slip into an empty building and make it a home; a political and artistic protest against impossible rents and an experiment in communal living, I met two children. The boy must have been around 3 and the little girl was 5 or 6 – and they had appeared one night, as if magicked into our squat, on Westbourne Terrace, a disused and faintly sinister hotel, not far from Paddington, in London. I cannot remember the children’s names but I can still see their faces. Their mother was stopping off on her way to India with her latest boyfriend. The children would come to our room and paint pictures, play games, and eat! Eating was important. These were hungry children for food, attention, stimulation, and love. Their mother was a complete narcissist and I could find nothing to like about her, and maybe because of her lonely journey into her own navel, she appeared to be largely absent from their lives. What I do remember is how these children roamed through a squalid labyrinth of evacuated rooms, making of it a giant Adventureland. They had no time to keep, and the little nests they snuggled in to sleep were in the basement where a graveyard of cookers and fridges lay as if they had been thrown from the windows in an eerily, apocalyptic inner courtyard. I also remember how harrowing it was to hear the little boy scream whenever his nappy needed changing, usually by the mother’s partner, because he had terrible nappy rash – and how the little girl was already his mother, and her mother’s mother. How the mother noticed her children in a sudden swell of jealousy and stopped them from going to a birthday party for the squat with everyone carrying plates of blue food, just as we were all going into the room with the music and how the little girl sank so easily into silence. How they were bundled into a van for their journey East and how we all shuffled about with our shame that we had left that mother largely unchallenged, and how, we prayed. And so, I fell into Foxlowe and was utterly compelled. It is the story of a community of artists and hippies (the Family), who live in a crumbling stately home on a moor, somewhere north. Everything in the outside world beyond the Family and a cluster of standing stones is bad, and the bad must be driven out through rituals and pain. The story is narrated by a child called Green. I was never quite sure how old she was in the early pages of the book, when we join her on the spike walk, a corridor of rusting nails left behind when the paintings that hung there had been removed. Poor Green is dragging an arm across them until she bleeds, a punishment for a minor infringement by her mother, Freya, one of the Founders. 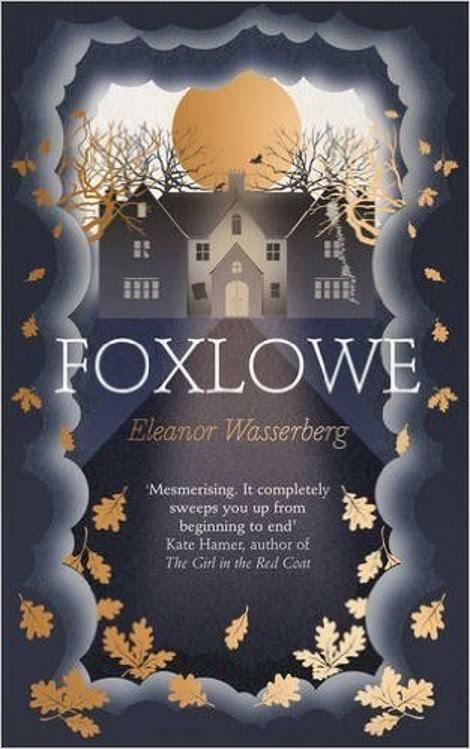 To call Freya a psychotic matriarch would not do justice to Eleanor Wasserberg’s creation. Everyone in the Family is caught up in a bizarre mythology which allows the unthinkable to happen. Green, Toby (October), and a new baby, Blue, do not go to school, or venture into an outside world, they do not read, have friends, go on sleepovers, they have each other in their best of possible worlds, Foxlowe which allows them such freedom and happiness, and the garden, and goats, a house sometimes decked with wildflowers, and happy with music and moonshine. The freedom doesn’t extend very far and Foxlowe has a shadow face, bleak, full of tensions, jealousy, and everyday cruelties which Green, more than any of the others, absorbs, after all, she is a child and had been at the heart of the crisis, and is prone to the bad, until Blue takes her place as the possessed child. Wasserberg does a brilliant job with the cleft between a child’s narration and what is really going on in the adult world – the voices of the adults lay that out for us. As the book progresses, those who might have protected the children leave, one by one, and everyone else is too snared in Foxlowe to avert the inevitable. A deep vein of violence runs through the book and I am not sure about the final ending - whether we need that awful legacy. But it is a book that demands to be read in a sitting, that is so alive I can almost smell the damp, the rats, the dust from abandoned furniture, the jumble of things…I can feel the dawn cold in an unheated room, sleeping in a pool of sunlight, cold stone, fresh bread, yellow-yoked eggs. The child characters are vivid, the malevolence is real, and the heartbreak is solemn and deep. A fascinating debut novel. The Glass Mother, a memoir by Rosie Jackson, is the next to be reviewed in our series of brilliant books written by women with connections to this region and published this year. Books you may wish to add to your Christmas list. In the late seventies and early eighties Rosie Jackson lectured in English Literature at the University of East Anglia in Norwich. She was a bit of a star: young, hard-working and the author of Fantasy: The Literature of Subversion, a study of the fantastic in literature. Friends of mine, who were students at UEA during that period, remember that Fantasy was the book everybody was reading and quoting from in their essays. When I told them I was reviewing the author’s memoir they wanted to know what became of Jackson because she seemed destined for great things like her colleagues Malcolm Bradbury, Angela Carter, and Lorna Sage, but then just disappeared off the radar. And this is the question that Jackson asks herself time and again throughout her memoir: what happened, why did I vanish myself? Jackson left UEA after five years and, like a detective, investigates and examines why she made that choice, why turn from the career that she put so much effort into building, why abandon financial security, why instead flit from one job and relationship to the next, why? 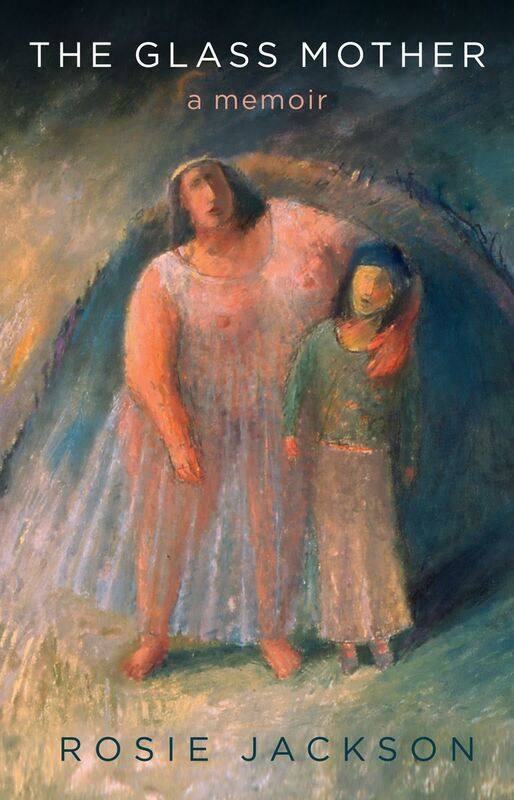 Her probing causes her to look hard at her childhood and the way she was parented. She examines too her own mothering of her son Adam. Jackson separated from Adam’s father when Adam was three and her youth and her need to study compelled her to leave her son with his dad. In a reversal of what is still usually the norm the father became primary carer and Jackson had intermittent access to the child. Jackson bravely explores how this act of abandonment skewed her life. She expresses immense regret and shame, and is honest about how her relationship with Adam continues to be fragile to this day. Jackson’s writing is precise and sensitive - perhaps on occasion too sensitive - to the thoughts and feelings of those friends, family, and acquaintances she has encountered over the years. It’s perhaps a little distanced too when recounting how she becomes a follower of the Indian spiritual master Meher Baba and what her devotions require of her. Jackson visits India often but she fleetingly describes the delights of these journeys into the spiritual, instead choosing to weight the memoir towards her peripatetic life here in England. The Glass Mother follows a linear, chronological path, which veers brilliantly off course towards the end into the wonderful titular chapter about nurturing and inheritance. Ultimately it is a fascinating read about a woman who chooses personal discovery over a ‘neurotic academic life’. Reviewed by Lynne Bryan, author of a short story collection, Envy At The Cheese Handout (published by Faber & Faber), and the novels Gorgeous and Like Rabbits (Sceptre). Lynne is co-organiser of Words And Women.